Custom monogrammed bed linens by Matouk are a fabulously unique way to personalize a bedroom. Choose a custom luxurious appliqued duvet cover or pillow shams with initials to brighten up your bed. Available in any color combos as you can design your own in whatever custom colors match your décor. 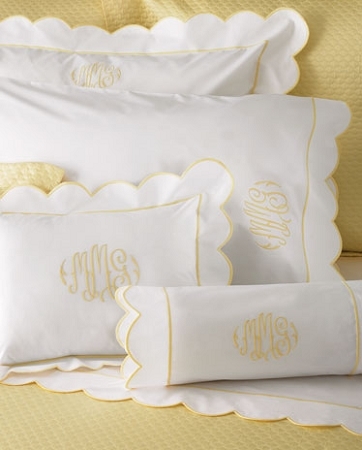 Personalize a monogrammed sheet set or pillowcase to adorn your bed with a great accent piece for maximum impact. 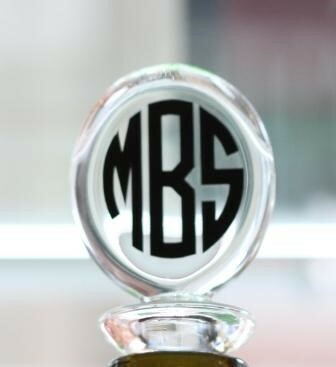 Initials can be embroidered or appliqued with tape for a custom look. Beautifully handcrafted, Matouk linens are of the highest quality and will launder with ease. Percale or poly blend, we have a sheet that will fit your needs. 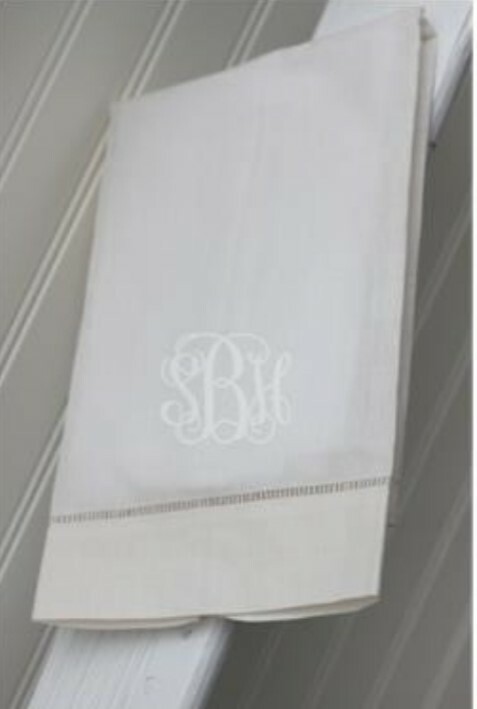 Our most popular seller is our monogrammed coverlet in diamond pique with your choice of a scalloped or straight edge trim. Gorgeous fonts coupled with great thread color choices make for historically beautiful charm in your guest room. Add a little punch to your pillows with monogrammed Euro, Standard or King shams along with a perfectly preppy boudoir pillow to finish. Add luxurious sheets to complement your bed for a finished look. Whatever your personalized needs for your bedroom decor, The Pink Giraffe is here to help. If you have questions about any of our Matouk bedding, we are happy to help. Swatches are available for most all of our bedding lines, just ask!